Corel DVD MovieFactory™ Pro is an all-in-one HD disc creation and burning software for quickly turning photos and home videos into professional-quality DVD, AVCHD and Blu-ray discs. Design stunning Hollywood-style motion menus with state-of-the-art effects using professionally-designed templates. Record direct to disc, create music discs, back up data and play DVDs and AVCHD discs. 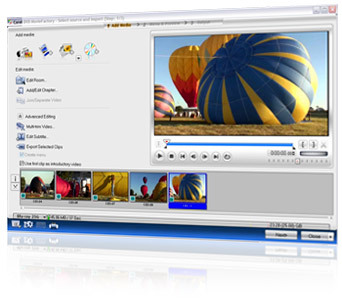 The first consumer authoring software to offer AVCHD and Blu-Ray Disc support. Capture, edit, author and burn HD content for the ultimate in picture and sound quality.